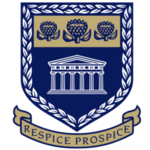 The University of the Western Cape is a public university located in the Bellville suburb of Cape Town, South Africa. The University of the Western Cape has a history of creative struggle against oppression, discrimination and disadvantage. Among academic institutions it has been in the vanguard of South Africa's historic change, playing a distinctive academic role in helping to build an equitable and dynamic nation. UWC's key concerns with access, equity and quality in higher education arise from extensive practical engagement in helping the historically marginalised participate fully in the life of the nation. The university was established in 1960 by the South African government as a university for Coloured people only. Other universities near Cape Town are the University of Cape Town, (UCT, originally for English speaking whites) and the Stellenbosch University (originally for Afrikaans speaking whites). The establishing of UWC was a direct effect of the Extension of University Education Act, 1959. This law accomplished the segregation of higher education in South Africa. Coloured students were only allowed at a few non-white universities. In this period, other 'ethnical' universities, such as the University of Zululand and the University of the North, were founded as well. Since well before the end of apartheid in South Africa in 1994, it has been an integrated and multiracial institution.